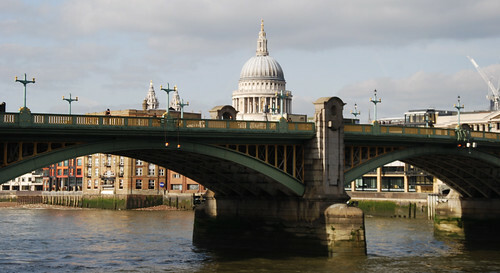 Bridges provide an important lifeline in the City of London, linking the Square Mile to the rest of Greater London. 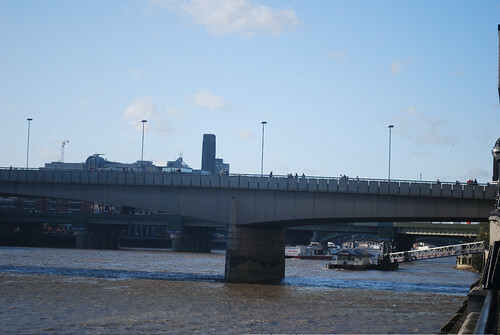 In fact, the first bridge across the Thames, London Bridge was erected during the Roman occupation sometime between the 1st and 4th centuries AD. 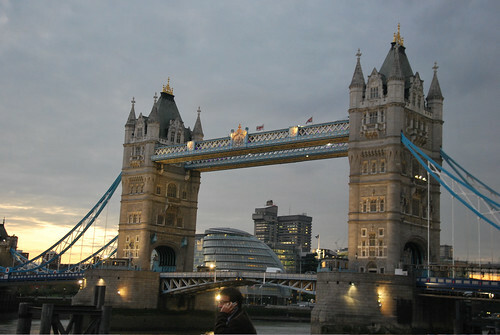 Starting with Tower Bridge in the East, this bridge is the most famous river crossing in London. 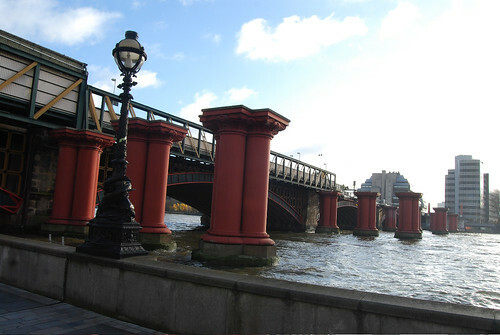 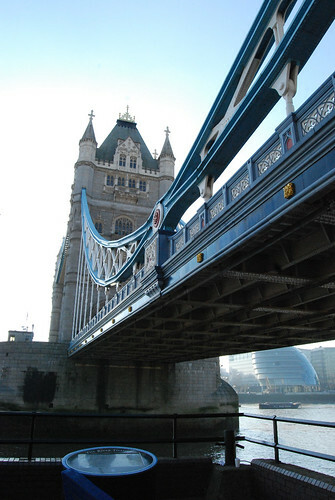 Opened in 1885 and designed by Horace Jones with John Wolfe-Barry, its familiar bascule design marks it out as the most distinctive of London’s bridges. 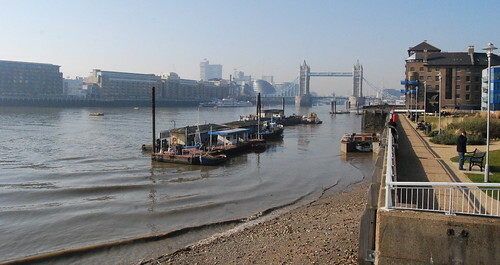 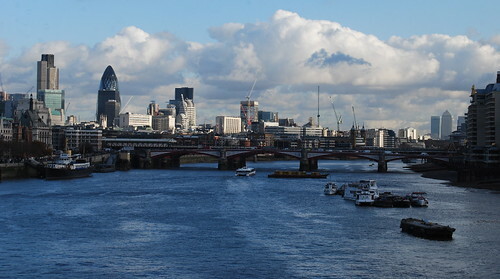 London Bridge is the latest of many bridges occupying the site to be given that name with the current crossing finished in 1972 after its replacement was bought by an American and transported brick by brick to Havasu City in Arizona, USA. 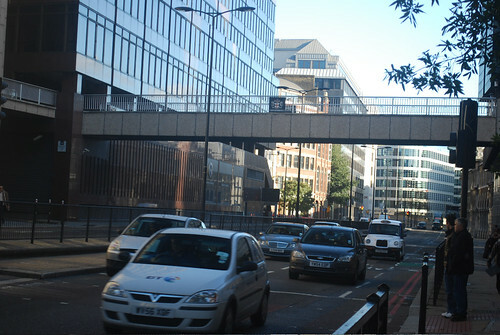 The Cannon Street Railway Bridge was built in 1863-6 by John Hawkshaw and John Wolfe-Barry and was widened about twenty years later. 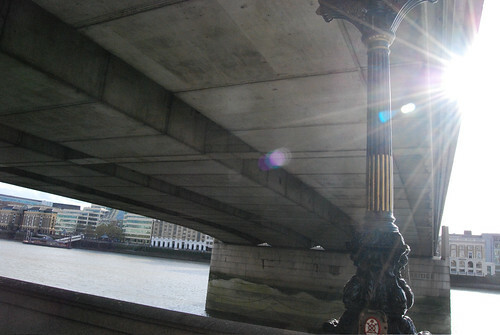 The current Southwark Bridge dates from 1921 and was designed by architect Sir Ernest Hay. 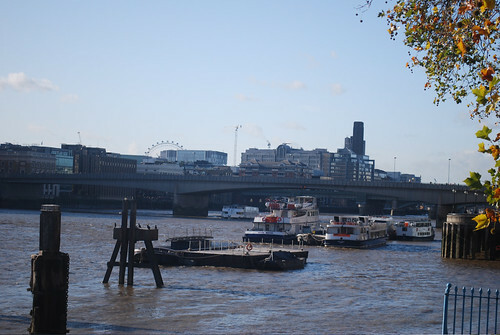 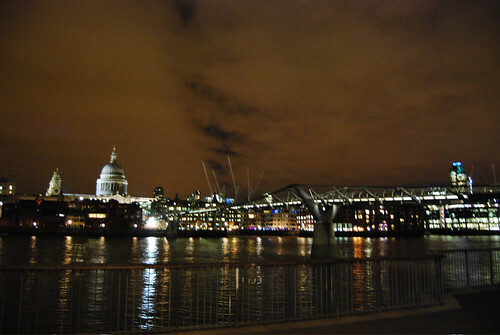 The Millennium Bridge, the footbridge that connects St Pauls to the Tate Modern on the South Bank, was completed in 2000. 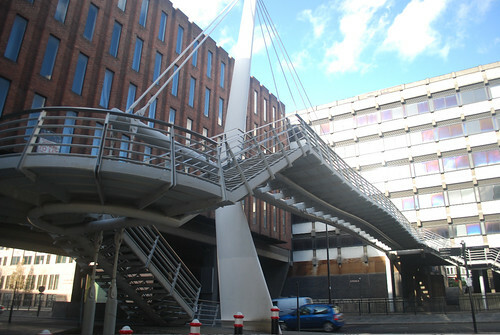 Designed by engineers Arup, Foster and Partners with Anthony Caro, when it opened, it got the unfortunate nickname of the Wobbly Bridge because it swayed on the first two days of its use. 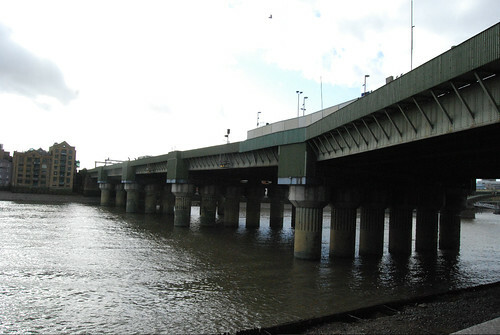 This was corrected and it reopened in 2002. 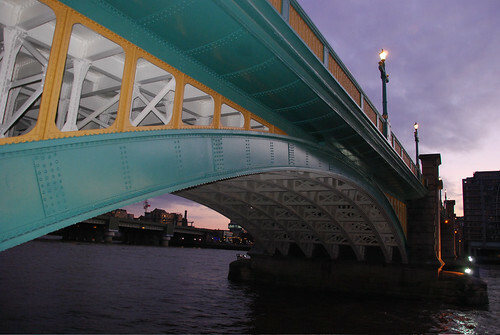 Blackfriars Bridge dates from 1869 and was designed by Thomas Cubitt. 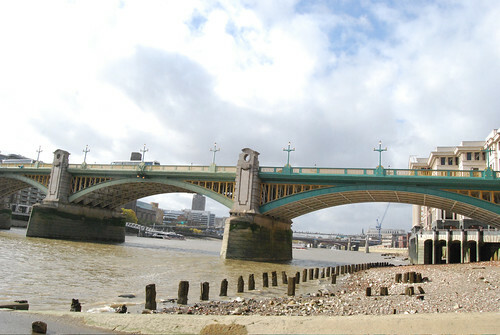 The ghost of an older bridge can be seen with its columns in the water to the East of the bridge. 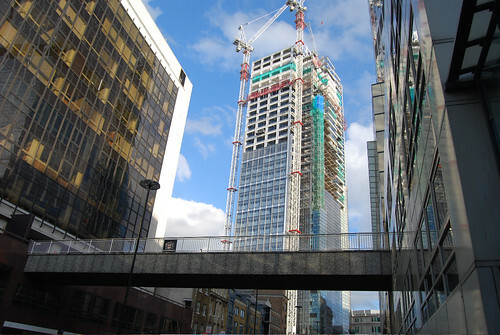 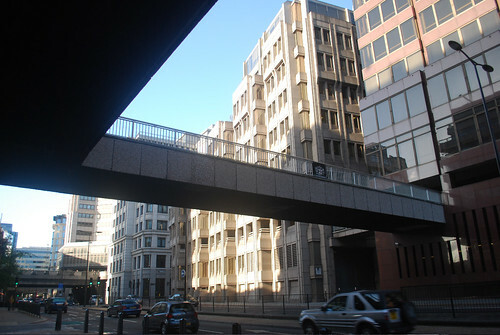 Pedestrian walkways also play their part in the City of London with many crisscrossing Upper and Lower Thames Street, the road that runs from Blackfriars Bridge to Tower Bridge and back, and Bishopsgate, the major thoroughfare near Liverpool Street.